I love everything about Creel and Gow, from its location in the former stables of architect Grosvenor Atterbury’s townhouse on a leafy street on the Upper East Side, to the mesmerizing collection inside. A treasure trove of silver-dipped shells, exotic taxidermy, sparkling rare minerals, and so much more, its an interior designer’s dream. 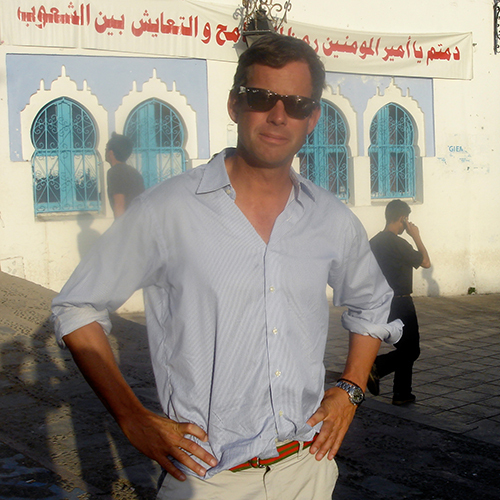 I talked to co-owner and collector, Jamie Creel, about his recent trip to Tangier and what first sparked his interest in treasure hunting on his travels. My grandmother was an avid collector, as am I. When did your passion for collecting begin, and can you remember the first piece that sparked your interest? For me, it’s always been about the hunt and the excitement of the find. Very much like you, I was inspired by my grandmother. I hunted for treasures long packed away in her attic out on Long Island. Although you’re a native New Yorker, you spend a lot of your time in Paris and Tangier. What is it about these two very different cities that attracts you? There is no place in New York within two and a half hours that is as distinctly different as traveling from Paris to Tangier. Paris is magical, there is no place like it, but in that same amount of time you arrive in a world where very little resembles anything you would find in any American or European town. I love experiencing and living outside of my comfort zone. 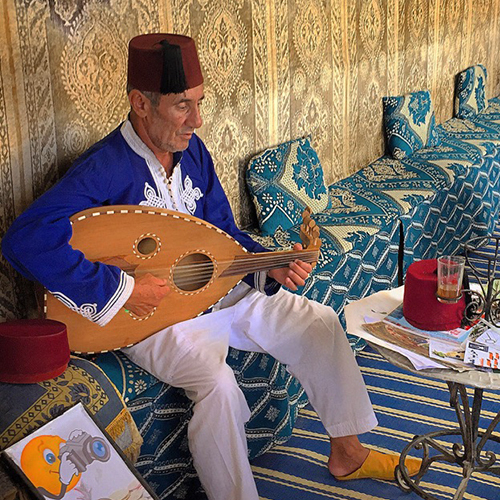 Every day in Tangier I learn something new and I enjoy all the nuances. 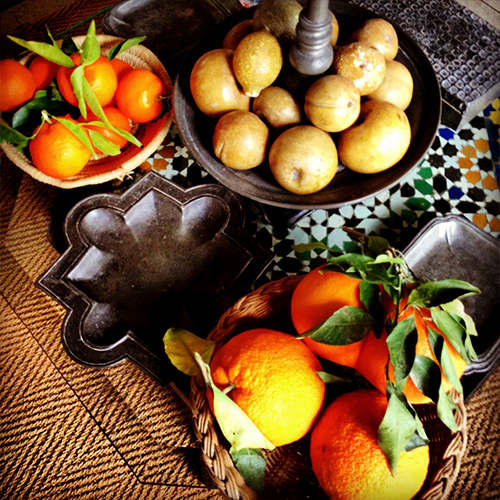 My love of Morocco inspired my new fragrance, Tangier Vanille. 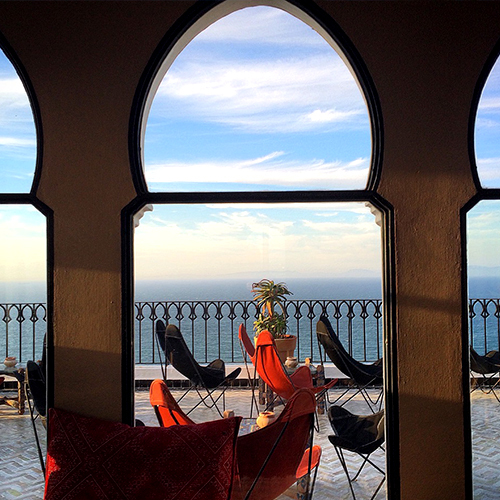 What scent, sound, and sight do you consider to be quintessential Tangier? My house is at the highest point of the old city in the Kasbah, which is located above the Medina, where everything is stimulating. Families preparing dinner, bread being baked in the local city furnace, night blooming jasmine wafting through the air, the call to prayer from the local mosques, children playing in the square in front of the house, ferries coming and going to the coastal cities of Europe … each on their own are almost overwhelming, but then when combined seem to blend into a perfect mix for the senses. You recently returned from Morocco. Did you bring back anything interesting? Yes, through a small entrance in the Medina, behind a vegetable stand, there is the Fondouk Chejra (weavers market), where I often go to design fabric that I use for myself, friends, family, or Creel and Gow. This past trip I ordered several cotton bed coverings for my brother and his wife for their country house. 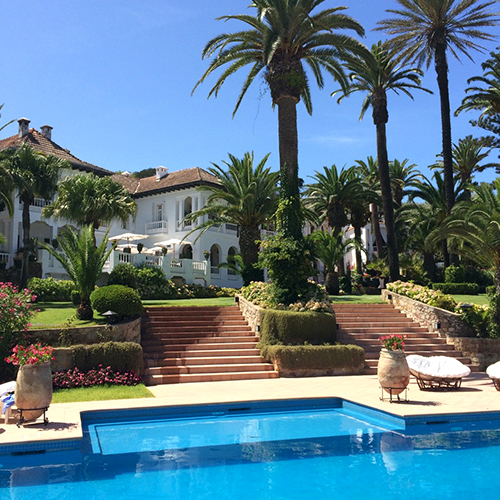 Are there any stores, restaurants, and hotels you would recommend in Tangier? 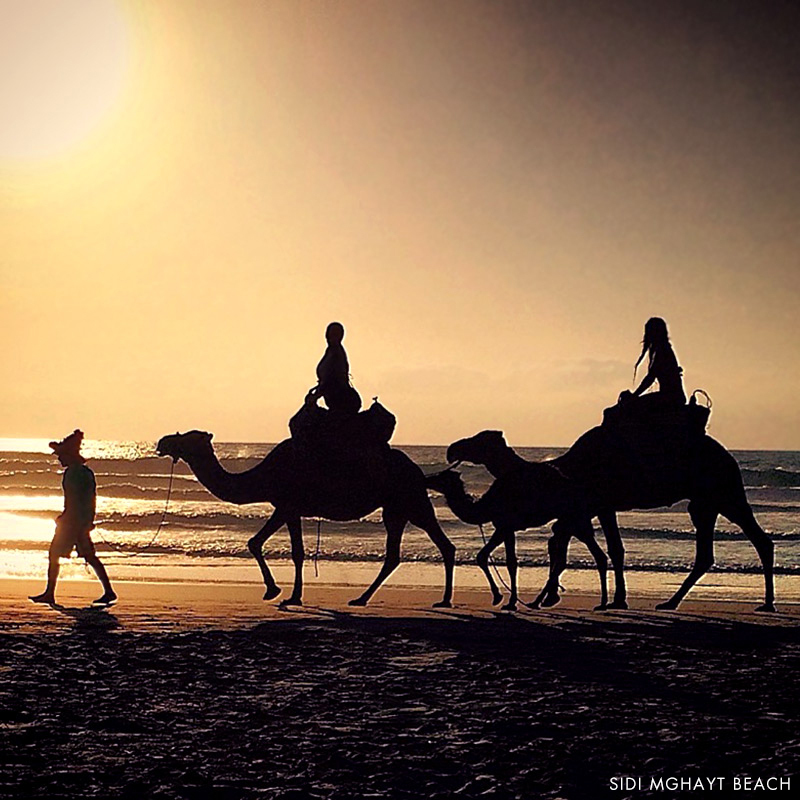 Describe a perfect day spent in Tangier. A morning spent scouring local markets, visiting dealers, and working with local artisans. Lunch at Sidi Mghayt beach, about 45 minutes from Tangier, where local fishermen prepare the fresh catch of the day while you swim in the Atlantic. 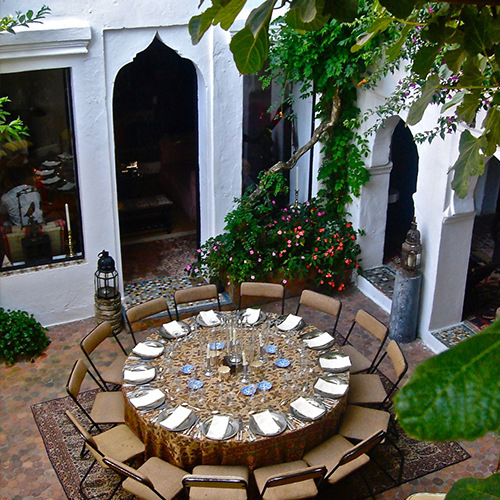 Dinner at a friend’s home where you usually find the best Moroccan cuisine in Tangier.